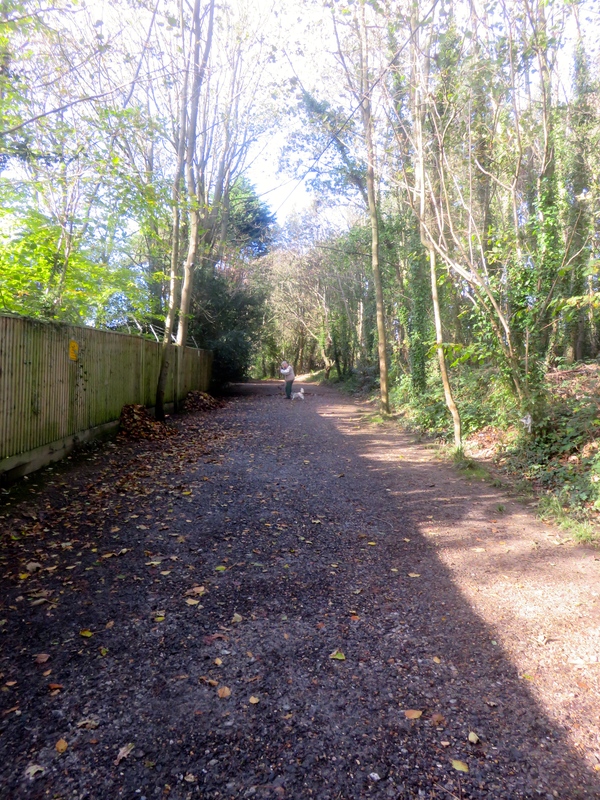 On an extremely blustery morning I walked to and from Giles’s home by the Shorefield footpath and Blackbush Road route. 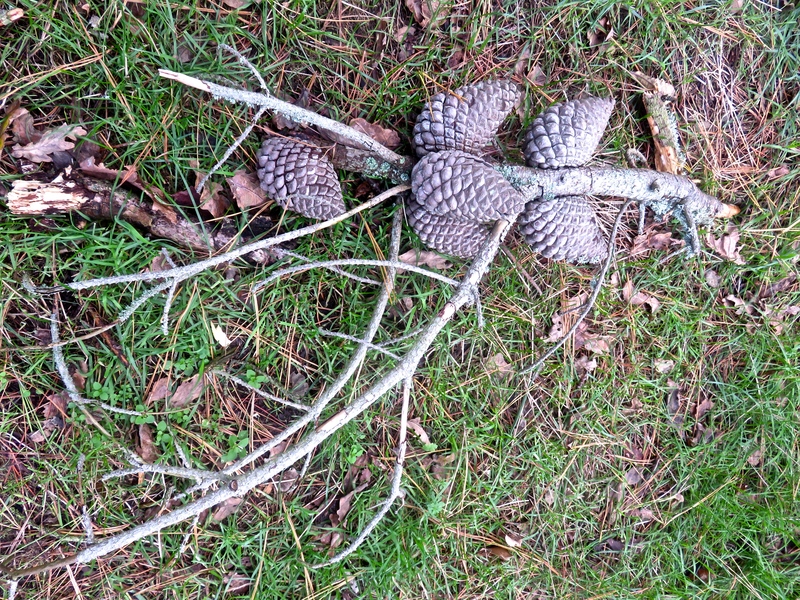 Pine cones littered the terrain, and I added to my collection of fungi photos. 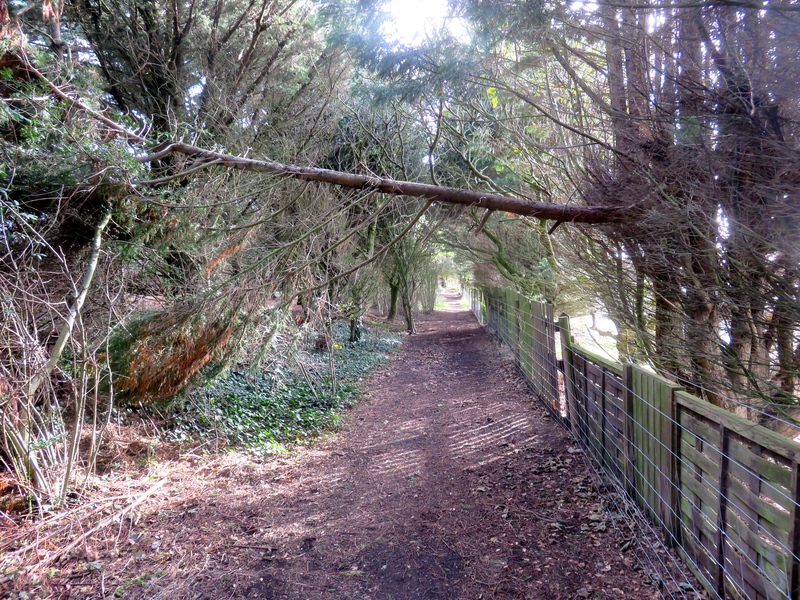 Fallen branches along the footpath created arches offering enough overhead clearance to put me in mind of roadsigns; a TV series; and a rapper. The warning signs are posted in order to let drivers of tall vehicles know whether they may pass under bridges and remain intact. 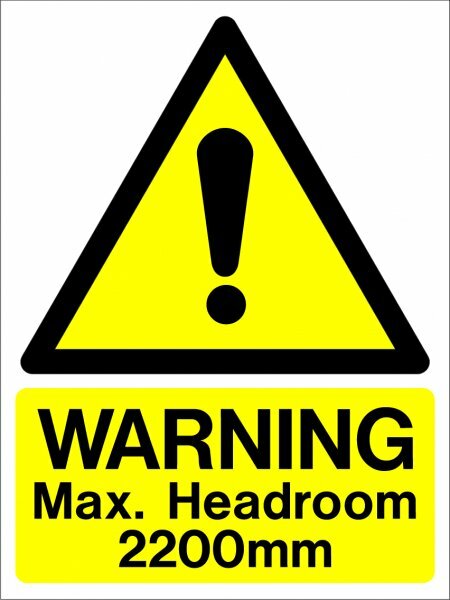 According to Wikipedia, ‘Max Headroom is a British-produced American satirical science fiction television series by Chrysalis Visual Programming and Lakeside Productions for Larimar-Telepictures that aired in the United States on ABC from March 1987 to May 1988. 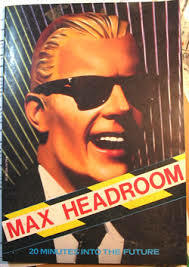 The series was based on the Channel 4 British TV pilot produced by Chrysalis, ‘Max Headroom: 20 Minutes into the future’. 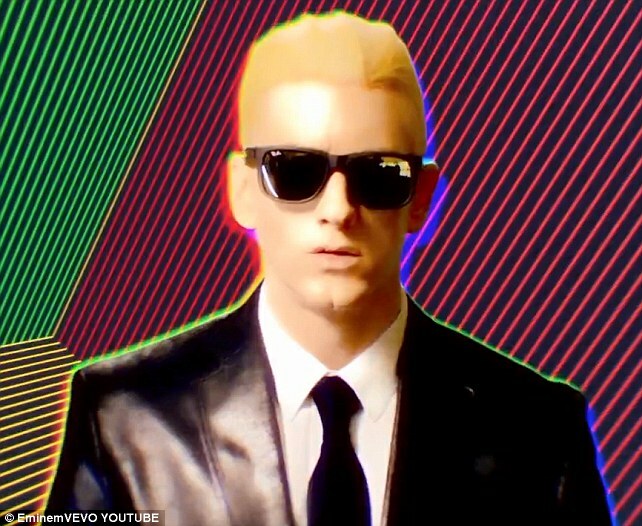 Finally, in his music video of November 2013, ‘Rap God’, Eminem posed as Max, the character from the TV series. 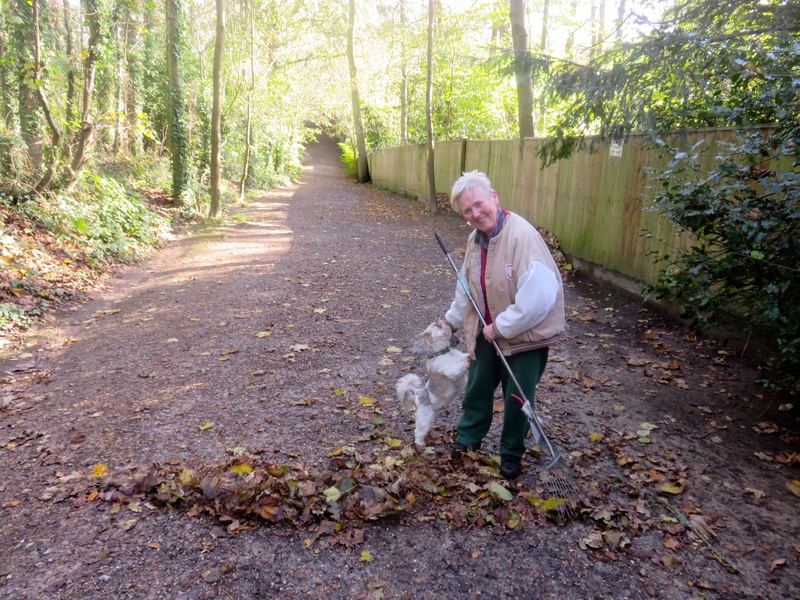 When I finished that particular rambling, I progressed along the path and met Maura, a pleasant and humorous woman who has been clearing leaves from this thoroughfare for thirty-five years. We spoke for a while, and she encouraged her little dog to pose for my first photograph. As I walked on, she called out to me to take a long shot so that I could feature the leaves she had piled up against the fence. Now, after this conversation, no-one over a certain age would expect me to refrain from mentioning ‘Beyond Our Ken’, a comedy radio programme that ran from 1958 to 1964. Although the Ken from the title was actually writer and actor Kenneth Horne, it was Kenneth Williams who always delivered the catch phrase ‘thirty-five years’ when asked how long he had been engaged in a particular activity. Further on, I met Colin, another former marathon runner, with whom I spent about half an hour swapping running stories. 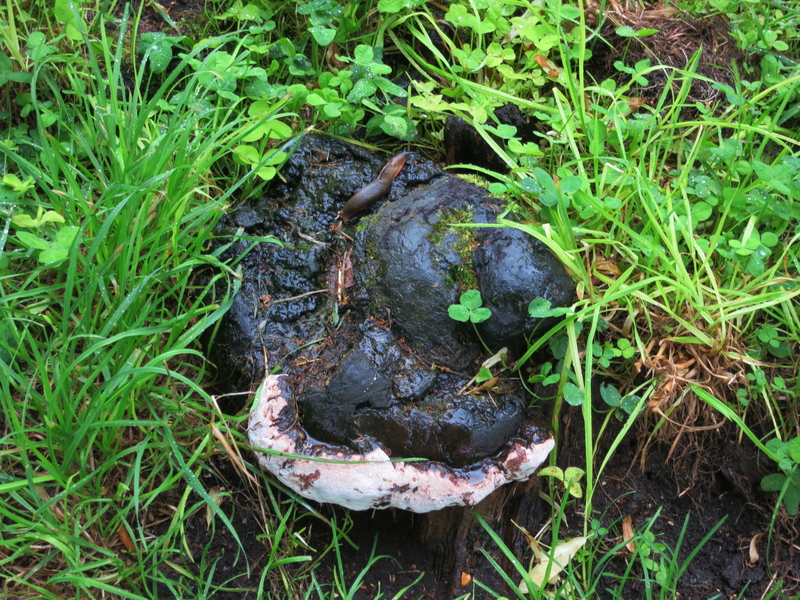 Our conversation began when he tripped over a root, an error I had made earlier. He had run the first London Marathon, watching which had given me the bug. My first such event was the second London one, in which Chris Brasher stopped off for a pint at an East End pub. Along Blackbush Road, rhododendrons were blooming again. Unfortunately the photograph I took to prove it was out of focus. I spent an enjoyable hour or so with Giles before returning home for lunch. My friend had bought a box of satsumas at Lidl. He gave me some to take home. Dinner this evening consisted of tasty fishcakes with Jackie’s piquant cauliflower cheese (recipe), mashed potato, carrots, and runner beans. Dessert was blackberry and apple crumble with custard or clotted cream, according to preference. Retentive readers will know who chose the custard. Jackie drank Stella and I finished the Cuvee St Jaine. Well, I thought this would be an original title for the summer of 2012. 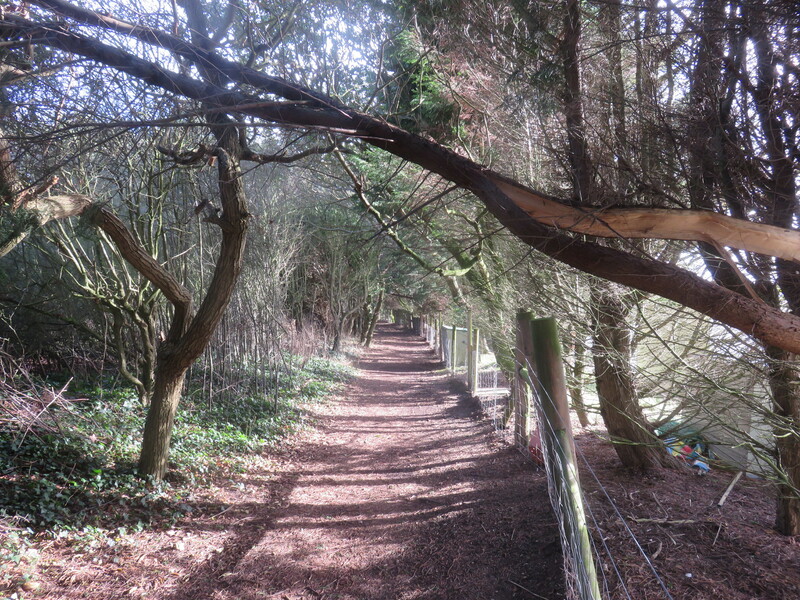 Yesterday’s sunshine proved to be an aberration. This morning we were back to normal, pouring rain. As I needed to go into Morden to present yesterday’s wine stained raiment to the dry cleaners and to pay in some cheques I continued on to Morden Hall Park. Only the cleaners could possibly be called dry. At Bill’s birthday party (15th. 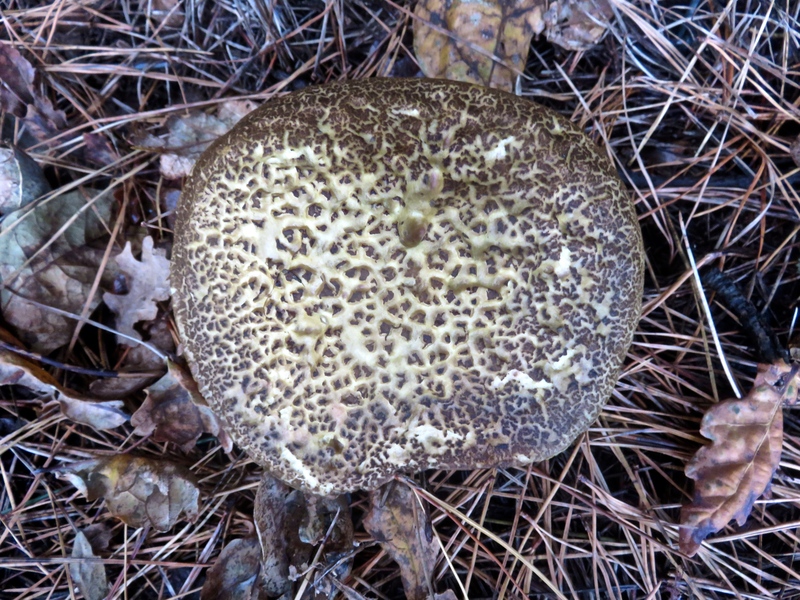 July post) the younger ladies were claiming that, although their long term recollections may be impressive, the older gentlemen’s short term memories were shot. Perhaps that is why I start my blogging as soon as I get back from my walks. For a few days now, I have been intrigued by a set of tankers bearing the name ‘A Better Service’ stationed outside the park. 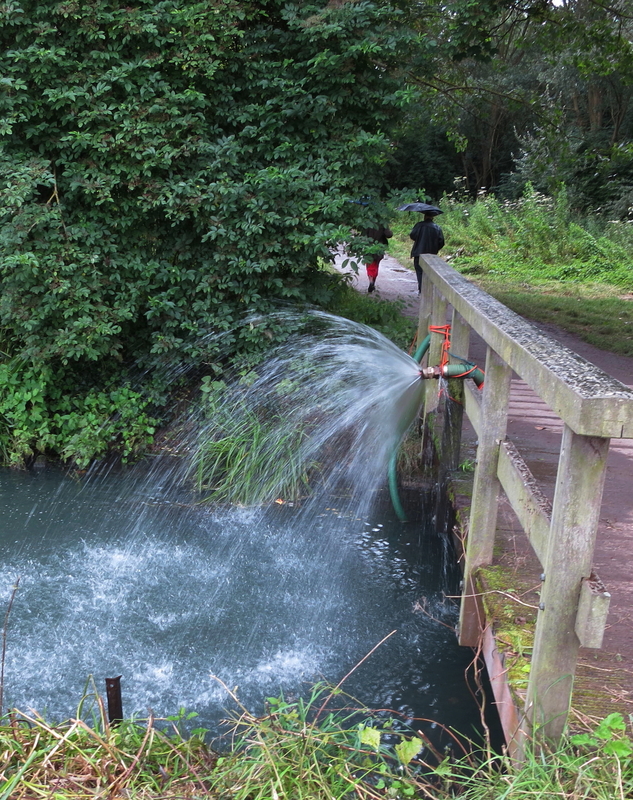 Since their pumps were snaking into the streams of Morden Hall and I didn’t think any more water was needed, I asked what the team were doing. 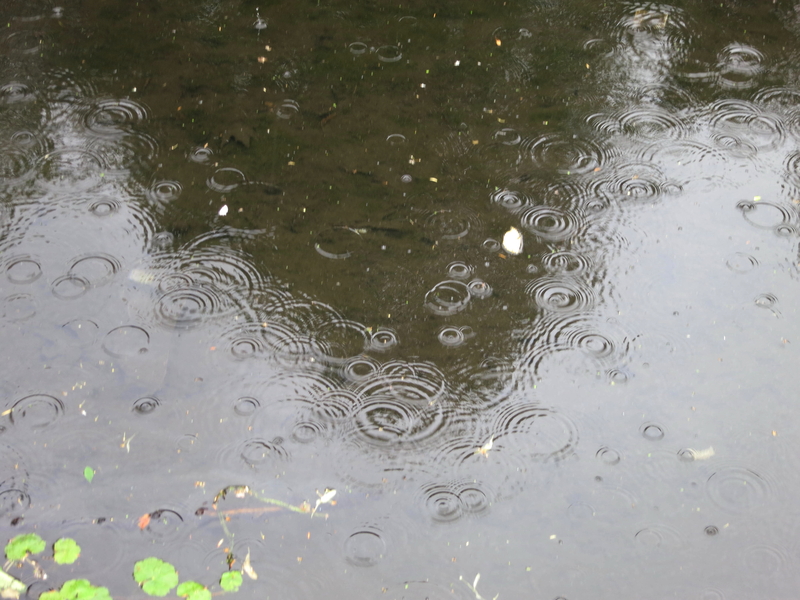 Apparently the various connecting rivulets get rather stagnant unless they are oxygenated. The pumps were therefore circulating the water. Note the umbrellas. 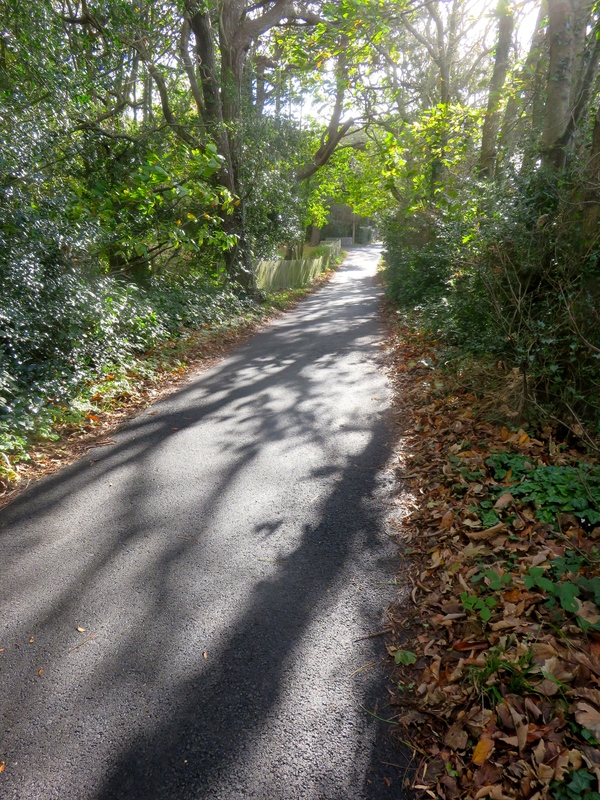 A jogger smilingly agreed when I observed that it was ‘perfect weather for it’. I remembered how refreshing it was to be cooled and hydrated by falling rain when running marathons. Rather more surprisingly, a team of volunteers armed with cutters and saws, engaged in clearing the banks, struggling with the sodden foliage, were of the same opinion. 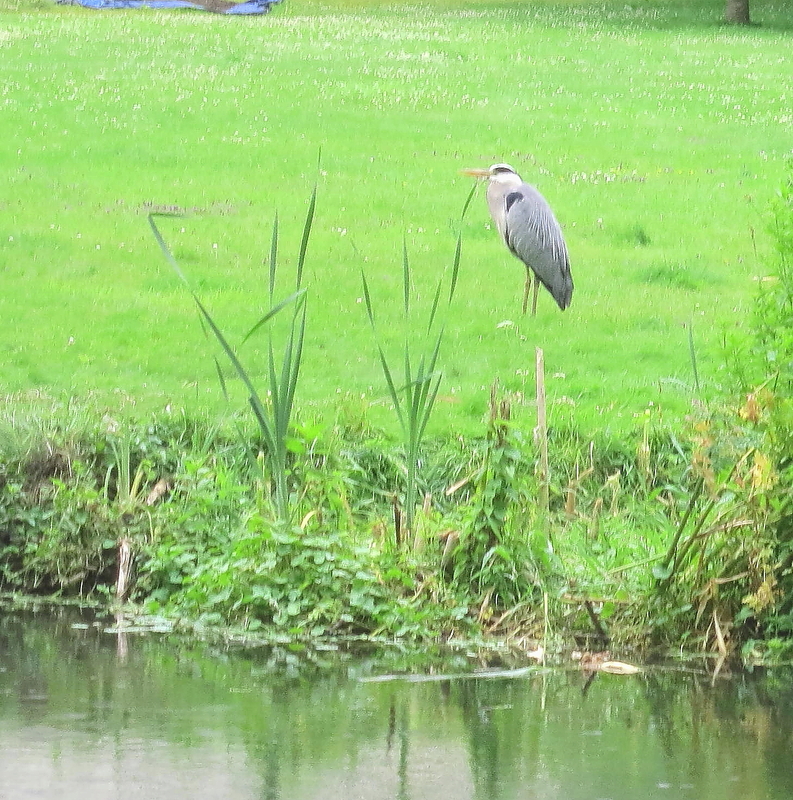 A coot noisily warned me off its chicks and a heron stalked the streams. A tiring golden retriever persisted in chasing a small black poodle around in circles. This rather upset a watching toddler, who needn’t have worried because the larger dog was never going to catch his prey. It did, however, present a moving obstacle on the rather congested path. At a gate leading from the rose garden to one of the sodden waterside footpaths I stood aside for an intrepid troop of retirees sporting various assorted rainwear, and umbrellas lowered to form offensive or defensive weapons. The gentleman bringing up the rear asked his female companion: ‘Have you been retired long?’ ‘Five years, but I’ve never been married,’ was her reply. I suppose everything has to start somewhere, and no longer does a woman have to wait for the man to make the first move. 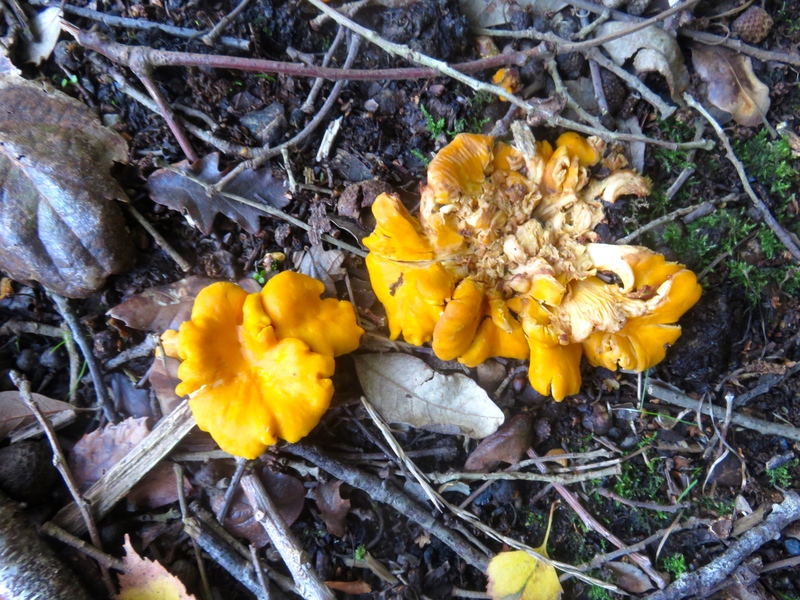 It has been a good year for slugs and fungi. 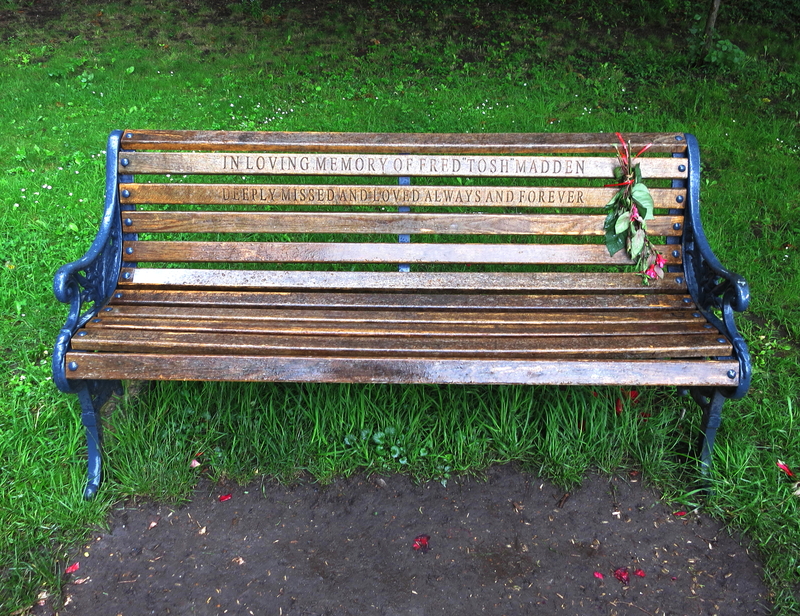 A forlorn fuchsia reminded us that Fred ‘Tosh’ Madden had not been forgotten. A couple of abandoned supermarket baskets were nestling in the undergrowth, and someone had discarded a sandal. My saturated pair screeched on the communal wooden staircase back at Links Avenue. This evening’s gourmet meal consisted of Derrick’s succulent gammon and pork sausages casserole, followed by strawberries, helped down by Roc de Chevaliers Bordeaux 2010. The Cumberland sausages came from Sainsbury’s, as did the wine. Lidl provided the gammon, onions, and mushrooms for the casserole; and the crisp, crunchy carrots which accompanied it. Other vegetables included Sainsburys’ weird shaped Anya potatoes, the sprouting buds on which had to be removed before serving; and cauliflower (a bit passe) from Wimbledon Village’s Bayley and Sage. Garlic paste to add flavour to the sauce was bought in one of the halal shops in Morden. The bay leaf was from Tesco and the thyme from goodness knows where. We have a fridge stocked up with salad ingredients virtually given away by a poor man who was selling his produce in the waterlogged Hillier’s Garden Centre car park on Saturday. He said he had been doing really well until eleven o’clock when the rains came. Now he had to give multiples of everything otherwise he’d have to take it home. This latter statement didn’t come from him. I just know that’s how it goes. I’ve often thought that a very hard way to make a living. However, he remained most cheerful, and also sold us, at a fraction of their true value, the piquant strawberries we ate this evening. They were bathed in Sainsburys’ ‘LIGHT’ evaporated milk. If I knew how to print those last four words upside down I would do so. This is because the tin from which it was delicately served was punctured at the bottom and I had to put my ear to my placemat to be certain what I was pouring.